While George Groves vs Chris Eubank Jr might be the biggest fight this weekend in world boxing – there is also plenty to look forward to Stateside. 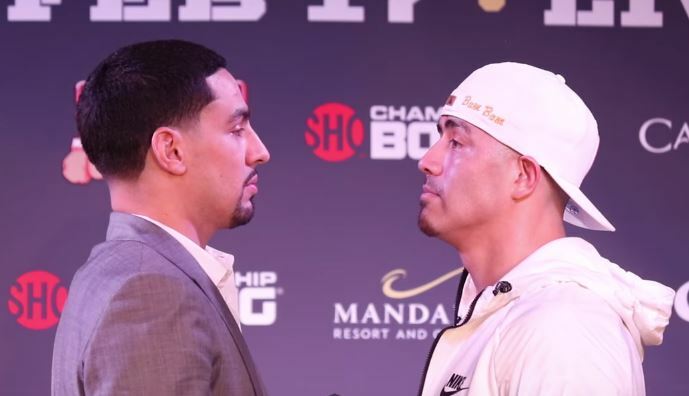 Danny Garcia vs Brandon Rios, Devon Alexander vs Victor Ortiz and David Benavidez vs Ronald Gavril will ensure there is a plethora of world title and top flight action to look forward to. Fox and Showtime will carry the above for the Premier Boxing Champions company who appear to have made a solid start to 2018. Many doubted whether PBC would last the test of time but they continue to put together interesting match ups. If you were to believe one or two rumours in the boxing business at the moment, a certain Dana White of the UFC might be promoting some of their fights later this year also. Interesting from Smith in that they seem to be strategically targeting this weekend with not much other sports taking place. The ratings next week should be interesting.